When the office is filled with boxes of fresh new samples, packing tape and more cans of energy drink than we’d care to admit, it can only mean one thing – Autumn Fair! 2017 saw a big change for Professor Puzzle as we took the leap from the children’s gifts, toys and gadgets hall into the mysterious world of contemporary gift. The team arrived ready and raring to go. Soon enough, the walls were up, the flooring down and all potential hiccups and hurdles overcome. The gift hall is an exciting new chapter for us and our team were intrigued to see how the new surroundings would affect our few days in Birmingham. Einstein was the undisputed star of the show with our licensed puzzle range taking centre stage. Visitors to the stand were left bewildered by Einstein’s House Riddle and the wide range of challenges of Einstein’s Letter Block Puzzle. Hopefully some of the great man’s genius rubbed off on a few people that day! This was also our first opportunity to show off pieces from some of the exciting new ranges we’ll be debuting in 2018. Not only were customers impressed by our new designs, but they also had a blast challenging each other to test them out! 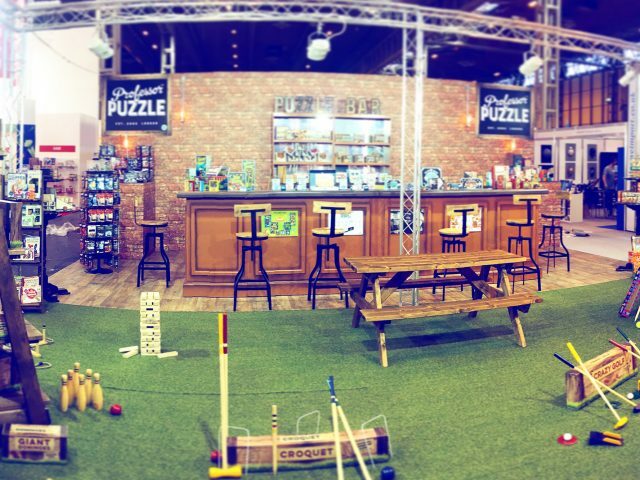 All in all, Autumn Fair is the perfect chance for our team to meet our lovely customers face-to-face, forge great new relationships and proudly show off the amazing variety of puzzles, games and gifts that we have to offer. 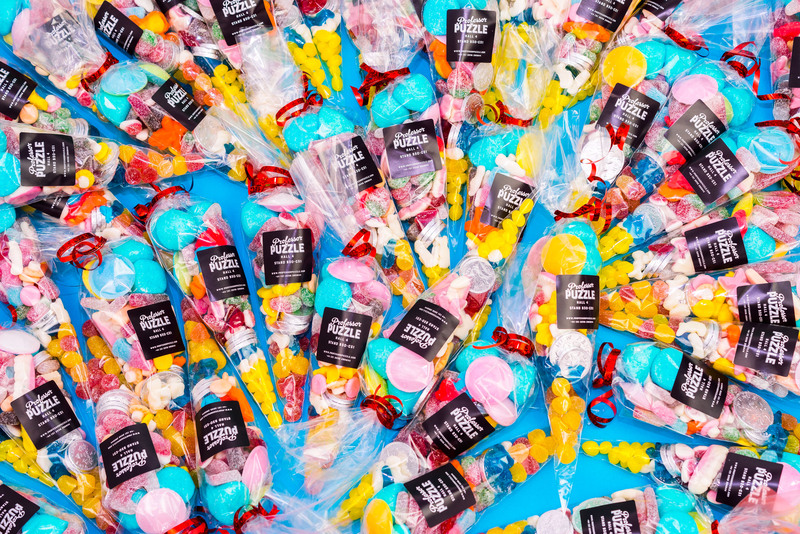 It was also great to hear that the energy boost supplied by our sweet-filled goodie bags helped to keep many people awake on the long journey home!